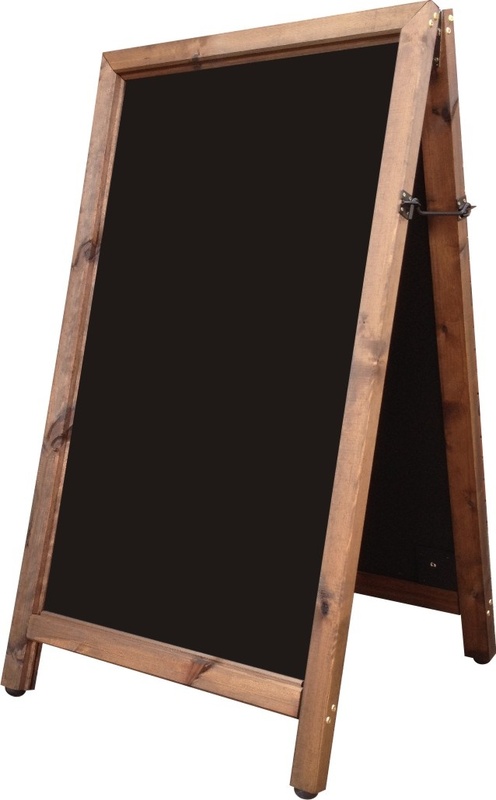 This is a heavy duty A Frame Chalkboard made to withstand all environments. The chalkboard panels are constructed from high quality melamine and are great to use with liquid chalk pens as they are easy-to-clean. A sturdy construction means that this Chalkboard will always impress your customers.